Debt is one of the great subjects of our day, and understanding the way that it not only fuels economic growth, but can also be used as a means of generating profit and exerting control, is central to grasping the way in which our society really works. David Graeber's contribution to this debate is to apply his anthropologists' training to the understanding of a phenomenon often considered purely from an economic point of view. In this respect, the book can be considered a fine example of the critical thinking skill of problem-solving. 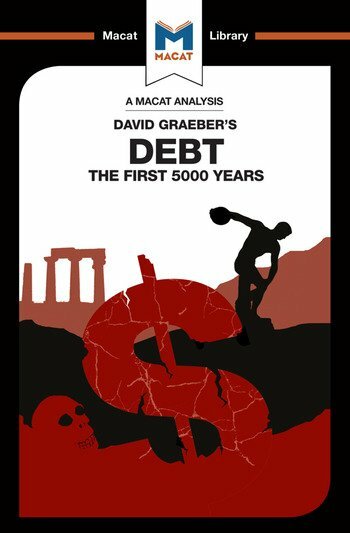 Graeber's main aim is to undermine the dominant narrative, which sees debt as the natural – and broadly healthy – outcome of the development of a modern economic system. He marshals evidence that supports alternative possibilities, and suggests that the phenomenon of debt emerged not as a result of the introduction of money, but at precisely the same time. This in turn allows Graeber to argue against the prevailing notion that economy and state are fundamentally separate entities. Rather, he says, "the two were born together and have always been intertwined" – with debt being a means of enforcing elite and state power. For Graeber, this evaluation of the evidence points to a strong potential solution: there should be more readiness to write off debt, and more public involvement in the debate over debt and its moral implications. Sulaiman Hakemy holds a master’s degree in economic history and development from the London School of Economics. A writer and journalist, he has reported on industry, politics, and culture for various publications. His background is in the development, aid and urban planning sectors, specialising in conflict and fragile states. He is based in Istanbul and Toronto, and speaks English, French, Spanish, Arabic, Persian, and some Urdu.